Schedules did not align this week for another video, but as the man currently sitting in the bottom of the standings in our weekly show, I’m feeling the itch to release some picks and make up some ground. So here goes with a few of my bets for this weekend and the following week in the soccer world. Each of Cheslea and Man City are heavy favorites at home at Cardiff and Fulham respectively. There is little value in straight up wins and honestly not much more in how I’m betting them here. But a win for both and at least two goals in each match bump up this parlay to a respectable +159. It would be shocking to see either of these clubs lose to a newly promoted squad at home. 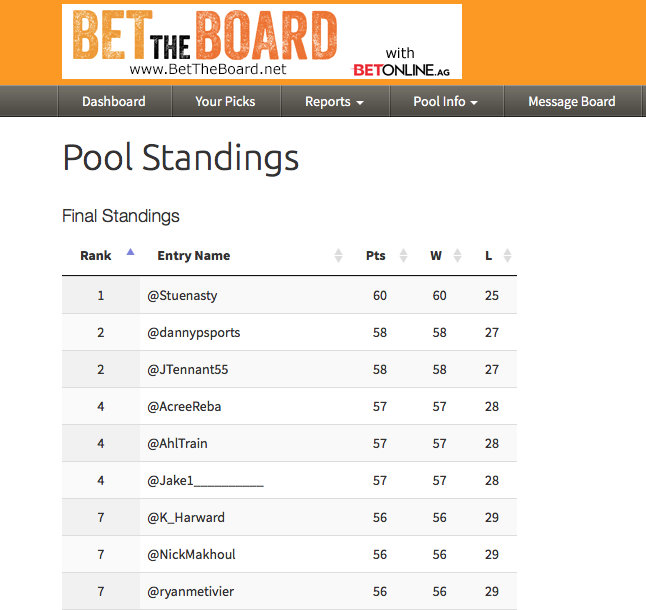 If I kept my bets to MLS I’d be soaring in this competition. 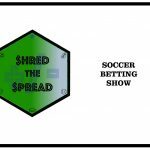 All my picks lost on the the last show, but in MLS, season-long I’m up about 10 units. Anyways here we have one of the best teams in the league as a small favorite on the road against one of the league’s worst. Road wins are always hard to come by in MLS but the gulf in class between Atlanta United and Colorado Rapids is just too big. Yes the Rapids have shown some life of late, but that was short-lived as they’ve now dropped three straight. The Five Stripes have a little controversary around the club with Manager Tata Martino apparently fielding offers from other clubs, but they’ll be keen to regain top spot in the East and prove why Tata should stay in the Dirty South. In TFC and LA we have two clubs likely not making the playoffs. The Galaxy have slightly better odds and could get the “new coach bump” with Sigi Schmid parting ways (getting fired?) with the Galaxy and Dominic Kinnear taking over on an interim basis. Any team with Zlatan is always a threat to score, and similarly any team with the backline that the Galaxy feature on the road are threats to get shredded. In their past two road games they’ve allowed an incredible 11 goals! LA hasn’t won since July 18, but they’ve scored in all but one match in the six games since. In fact LA has only failed to score at least once in four games this season and three of those came early in the season. In TFC, they face a club who was just embarrassed by the Galaxy’s cross-town rivals in LAFC. LAFC put four past TFC in Toronto in a 4-2 road win in TFC’s last game. Both teams have scored in 7/8 recent TFC matches and the last time Toronto failed to score at home came back in July. Let’s stick in MLS here. In RSL/Minnesota we have the best home team against the worst road in the Western Conference. RSL is 10-3-1 at home, while Minnesota is 1-1-12 on the road. The Loons will have a short week as they played on Wednesday in DC and guess what…? They lost. Shocking! Despite taking a 1-0 lead early in the second half, they promptly gave it up and lost 2-1. I’m going to fade another road team here with the Revolution travelling to LAFC. New England has been dreadful and finally won their first game since June 18 in their last match. Yes it was impressive to claim victory on the the road to a suddenly shaky NYCFC, but they were badly outplayed and had no business winning. It’s likely too bad the international break came when it did, as New England wasn’t able to build momentum off that win. LAFC will be too strong at home and Lee Nguyen will have added motivation playing his old club. Dating back to 2014 only twice in this matchup between Houston and Portland have both teams not scored over the past 12 games. These teams met up back in July in Portland where the Timbers were 2-1 victors. These teams are going opposite directions with the Timbers undefeated in three, while the Dynamo haven’t won an MLS match since July 7—ooof. Houston can generally score at home though having only failed to do so twice this year. Portland meanwhile has been known to struggle on the road having not won in the past four attempts. They are also only 3-5-5 in their travels while scoring 16 and allowing 25. The Dynamo have been dreadful but they are in the US Open Cup Finals on September 26. Between this match and then, they will also play on the road to Orlando four days prior to the final. In all likelihood they will rest players before the final to try and be fresh to salvage some hardware from this season. Which means this could be a game where they look to build some confidence and come out fresh after the international break. That being said I can’t be confident in them keeping a clean sheet against the in-form Timbers. Even Over 1.5 game goals could add a little value here, but all things seem to point to both teams scoring. I want to jump ahead to Tuesday’s opening fixtures in the Champions League. I love the short odds with Dortmund on the road in Belgium. Club Brugge are flying at the top of the Belgian First Division, but playing one of Germany’s elite will be a completely different test. After that, there is just so much firepower on the field between Liverpool and PSG it’s hard to not see both teams finding the back of the net. Throw in at least two goals from Barca at home to PSV and you have almost two-to-one odds. 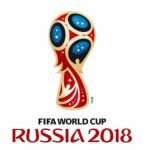 The World Cup of soccer is here! For those who may not be as familiar with the numerous ways you can bet a soccer match, below will outline some of the most typical bets you can make depending on your Sports Book. It is important to note that during the Group Stage, matches can end in a draw after full-time. However afterwards, during the Knockout Rounds, should a match be drawn after full-time, teams will then proceed to play two additional 15-minute halves. Should they still be tied after this, the game will be decided via penalty shootout. One more thing to note is in soccer the home team is typically listed as the first team on the betting card/menu, which is different from traditional North American sports. So if you see “Russia v Saudi Arabia” — Russia is the home team in this instance. 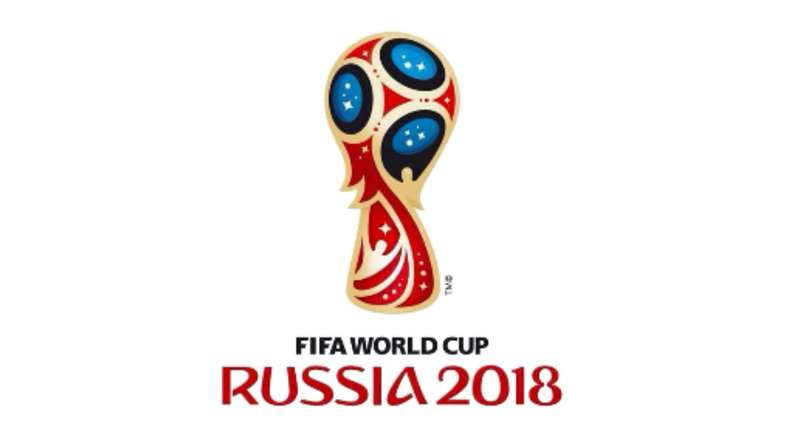 Now during the World Cup, as the host nation, Russia will be the only country who truly holds any home field. Most wagers in soccer are decided after full-time (90 minutes), plus any extra additional or “extra time” that is added by the referee for injuries, stoppages, etc. A three-way money line breaks down the possible results into three options. So in a soccer match your options would either be for the home team to win, the away team to win or for the match to end in a draw. In Double Chance bets you are placing a wager on two of the possible three outcomes as described previously. Your options would be Team A and the Draw, Team B and the Draw or Team A or Team B. Each of these selections will pay out differently based on the original three-way money line lines but your probability or winning is much higher. Let’s look at an example. In Draw No Bet (DNB) the concept is similar to a Double Chance bet. In this case you are eliminating the Draw option from your bet. Russia DNB or Saudi Arabia DNB. The payout is less than your standard Full Time Result bet, but more than a Double Chance bet. With this time of bet if your team wins, you will win your bet, but if they tie/draw, rather losing, you will be refunded your stake. This is referred to as a “push”. Team A must not lose by more than one goal for you to win your bet. They could win by any amount, draw or lose by one for you to win. Team B must win by two goals or more for you to win your bet. Much like an over/under for other sports, you are selecting how many total goals between both teams will be scored in the match. A over/under market on how many corner kicks there will be during the game. A over/under market on how many cards (yellow and red) will be shown or given out during the game. With this bet you are choosing what the result will be at half-time in the match and at full-time. 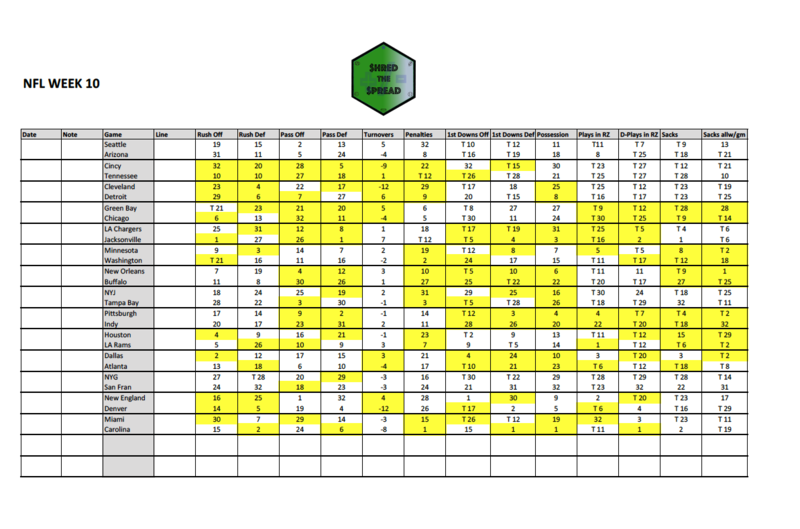 As you can see you are selecting if one team will lead at both half-time and at the end of the game (full-time), if one team will lead at half and then the game will end tied, if the game will be tied at half and then one team will win, if one team will be leading at half and then the other team will end up winning at full-time or if the game will be tied at both half-time and also at full-time. Select an over/under on how many goals a specific team will score in the match. Select a player to score from either team to score a goal during the match. Atlanta proved they can win without dominating offensively as they grinded out a 1-0 road victory in frigid Minnesota last week even after going a man down before halftime. But that narrow win has been their only low scoring game this year as their previous games were high-scoring affairs with 5, 4 and 4 goals combined. Sound like a lot of goals? Well LAFC would still have them beat even with playing one less game. While Atlanta has scored eight and allowed six in four games, LAFC have scored nine and and allowed five in only three games. Their past three contests saw 7, 6 and 1 goals combined. LAFC will be looking to bounce back after blowing a three goal lead to cross-town rival LA Galaxy last week and should be good value for at least one goal versus an Atlanta United team missing some key defensive players. Atlanta has only failed to scored at home once in their existence and that was a playoff loss to Columbus back in October. Although the season is young, this game features tow teams at opposite ends of the Eastern Conference standings. Chicago sits dead last with 1 point in three games, while Columbus is in second place with 10 points in five. The Fire have scored an average of 2 goals per game so far though and now have scored at least once in 34 straight home games. Our write up last week was a selection on the BTTS bet in the Fire match and went into greater detail on the amount of goals both being scored and allowed by the Fire, specifically at home and last week did not dissapoint seeing a 2-2 draw with Portland. We’ll look for the trend to continue here with the Fire allowing an average of 2.66 goals per game so far, and going up against a club in Columbus who score just below two goals per game themselves with nine in five games. Three of the last fouyr games between these two have also seen both teams find the score sheet. The Fire have opened this season 0-2 but their games have certainly been exciting with 10 goals scored combined in their matches. They’ve managed to score four times in these games, but defense has been their problem with the backline shipping six the other way. Chicago Fire home games in MLS have historically been high scoring. If you look back at the last 27 home games, two or more goals have been scored an incredible 26 times! But it gets better as 22 times at least three goals have been scored, with at least four goals not far behind at 14. The Fire are basically a given to score when playing on home soil, having done so in 33 consecutive league games. This has been a tough start for Timbers’ new coach Giovanni Savarese as Portland is winless in their first three games, while only scoring twice—both by Sebastian Blanco. Defense has also been an issue for Portland with seven goals allowed. Portland has a long history of road struggles having only won two of their past 18 league matches and none of their past six. Their games have seen goals though, with two or more coming 14 times. Last year’s meeting between these two sides saw a 2-2 draw. It’s only a matter of time before Portland’s offence gets going, and with Blanco, Diego Valeri and Fanendo Adi available in attack, coupled with a suspect Fire defense, this could be the game. It’s the first installment of what’s affectionally being called “El Trafico”. The old guard Galaxy versus the new kids on the block LAFC. 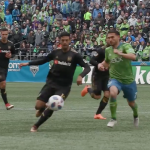 LAFC have been the hotter of the two out of the gates winning 1-0 on the road to Seattle and 5-1 on the road to RSL. LAFC have put up six goals already while only allowing one. Galaxy have seen a mixed bagged to open the season going 1-1-1 and scoring and allowing three goals. Last week, despite only dressing 17 total players, they mananged to hang on, on the road for a 0-0 draw in Vancouver. With some players hopefully returning from injury, others returning from international duty and the massive addition of Zlatan Ibrahimovic available for selection, the Galaxy hope to be better prepared for this derby match. With the amount of firepower on the pitch including the Galaxy’s Ibra, Ola Kamara and LAFC’s Carlos Vela and Diego Rossi, coupled with the sheer magnitude of how important this first derby match will be in establishing/maintaining relevance in the LA market, goals are the only way to look here. Eight of the past 11 times these two teams have played both teams have scored. The Union won 2-0 in their first game of the season though it was against a New England squad who had both CBs shown red cards. Across all competitions the Union have only failed to score at home once in their past 11 tries and now welcome the always dangerous Daivd Accam to their lineup this year. Columbus have roared out of the gates with two wins in two, beating Toronto on the road 2-0 in Week 1 and following that up with a 3-2 win at home to Montreal last week. New signing Gyasi Zardes has been hot to start the year with three goals already. The 401 Derby renews its’ rivalry this afternoon. In their last matchup Toronto slipped by with a narrow 1-0 win, but prior to that seven straight meetings between these two teams saw both teams score. In fact in the most recent two games before that 1-0 Toronto win, 12 goals were scored combined. Toronto is sitting in an unexpected last place in the Eastern Conference, but they’ve only played one game and it was sandwiched between two Champions League games. Speaking of, TFC will be coming off a huge high from progressing past Tigres earlier this week. Though Toronto ended up losing the match in Mexico, they progressed through away goals. Surely some players will get rested this afternoon after the trip to Mexico but Head Coach Greg Vanney would be wise to keep some of his regulars in the lineup for this matchup with their rival. It’s no surprise that Montreal is lower in the standings too, actually only one spot above Toronto in the East. Montreal is still sorting out their defence and have seen their net bulge five times in their past two games. However any team with Ignacio Piatti and Matteo Mancosu up front will always be dangerous—especially considering Toronto will likely be without defenders Justin Morrow and Chris Mavinga who both were injured down in Monterrey. Only two games on the slate today and we’ll be in action for both. After a poor start in Week 1 of the MLS season last week we’ll try to bounce back in Week 2. Both of these squads will be looking for better performances this week—Atlanta having been blown off the pitch in Houston to the tune of 4-0, and DC, for giving up a one goal lead to 10-men Orlando in the 93′ minute to settle for a 1-1 draw. What can we expect this week? For one, Atlanta is just too good a squad to face a similar fate this week and came into this season as one of the top favourites to lift MLS Cup. Last week may have been bad, call it terrible, but they are a completely different beast at home in Mercedes-Benz Stadium. Last season they were near unstoppable at home going 11-3-3, while scoring 48 times. We can also expect that DC will struggle on the road. As the season is too young still, we’ll look at DC’s 2017 record on the road and see they only managed to win three times and conceded a whopping 40 times, good for third worst in the league as far as road goals allowed. Let’s also look a little deeper into their match on the road last week. Sure they held a 1-0 lead for most of the game until the dieing minutes, but let’s not forget Orlando went down to 10 men at halftime. So they had an entire half with a man advantage and still came out with only 40.9% possession. On top of that Orlando completed far more passes (462-327) and completed 180 “final third” passes—a figure that was actually tied for second worst of all teams last week. If DC allows anything similar this week to a full strength Atlanta squad, Atlanta has the weapons to finish their chances and redeem themselves from last week. DC does have a 3-0 record vs. Atlanta last season going for them and do welcome ex-United member Yamil Asad to their team, who started his DC career off with a bang, scoring their goal last week. Each of these teams got off to good starts to their respective 2018 MLS campaigns last week, NYCFC winning 2-0 on the road to SKC and LA winning 2-1 at home to Portland. NYCFC were tough to break at home last season, only losing twice and averaging just under two goals per game with 33 in 17 games, while LA, historially poor on the road in past seasons, actually held the second best road record in the West with a 5-3-9 mark, and 28 goals scored. Major absences for both teams this week include CB Maxime Chanot for NYCFC after seeing red last week and midfielder Romain Alessandrini for LA after he pulled a hamstring in last week’s match. It’s a rare match when NYCFC don’t score at least once at home, having only failed to do so once in their past 18 league matches. However it is also rare for them to keep clean sheets at home, having allowed at least one goal in 15 of those 18 matches. New striker Ola Kamara already struck once last week and with a missing starting CB (Chanot) in the New York backline, the LA attack should be able to create some chances. In fact they have netted at least one goal in their past six MLS matches.You can’t put much stock into pre-season results, but it’s worth noting LA won 3-0 vs. NYCFC in February during pre-season play. MLS is back and it’s time to stat some capping on North America’s top soccer league! The MLS Champs Toronto FC will have the trophies on display to start the season opener at home to Columbus Crew. Toronto had a record breaking season last year and now have their sights on defending their title, as well as looking past their domestic matches for success in CONCACAF Champions League. The squad is already warmed up with two games under their belt in CCL play after taking out the Colorado Rapids in the first round. They will now face Tigres next Wednesday. Despite this tight fixture congestion TFC are fielding a full lineup with all the big names this afternoon for the home and season opener. After letting the fans go home on Tuesday with a 0-0 draw with Colorado, TFC will be keen to come out strong and get the season off to a strong start against their Trillium Cup rivals the Columbus Crew. Columbus lost to Toronto by the slimmest of margins in the Eastern Conference playoffs, but in the offseason lost two players in Ola Kamara and Justin Meram who accounted for 31 of the team’s 53 goals. No team was better at home last year in the Western Conference than the Dynamo as they won 12 of their 17 games. Overall they were only bested by Toronto for best overall home record. Houston scored 43 times at home while only allowing 17. Atlanta may have stumbled down the stretch in their road outings, but they still managed over a goal per game average on the road scoring 22 times. With Atlanta United’s dynamic offensive weapons it’s always tough to see a game where they are not capable of picking up at least one goal, especially with Miguel Almiron pulling the strings and Josef Martinez up top. In their only meeting last year Atlanta won 4-1, though it was at home.